Mix equal parts research, analysis, visioning and craftwork. 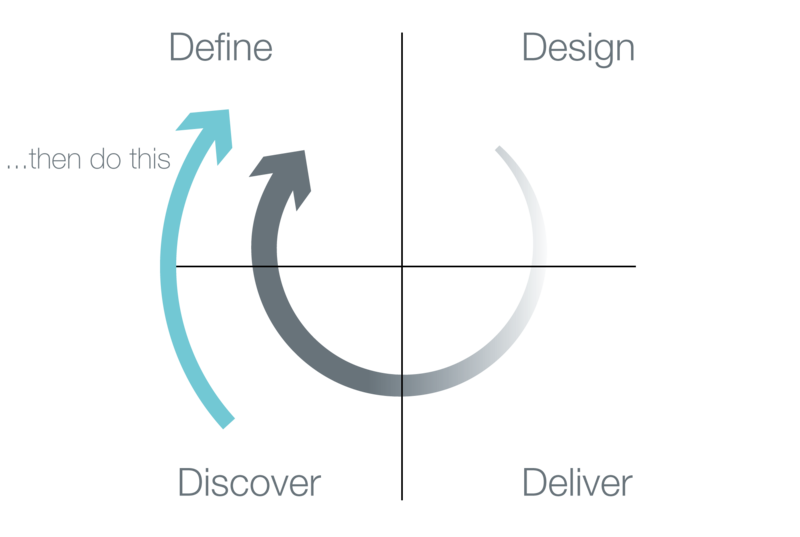 To accelerate your time to insight, and time to market, Phase II turns the design thinking cycle on its head, a process called Presumptive Design. Phase II facilitates a “Creation Session” – a workshop in which key stakeholders from your organization capture their assumptions about the problem by creating sketches for a solution. The Creation Session is a rapid and inexpensive means of getting everyone’s ideas on the table without judgement. The Creation Session reveals your team’s inherent, and sometimes unspoken, expectations for the initiative. The Creations Session is unlike similar "brainstorming," "blue-skying," or "vision quest" workshops. At the end of the Creation Session your team has an artifact they can test with your external stakeholders, the ones for whom you are proposing an initiative in the first place. Rather than build and test the “real” thing, we test the sketch. This quickly identifies where the team’s and your stakeholders’ assumptions diverge. Phase II facilitates “Engagement Sessions” – one-on-one interviews with key individuals from your customer-base (or client’s customer-base) using your sketches to focus the conversation. The Engagement Sessions are fast, cheap and filled with actionable data you can use immediately. 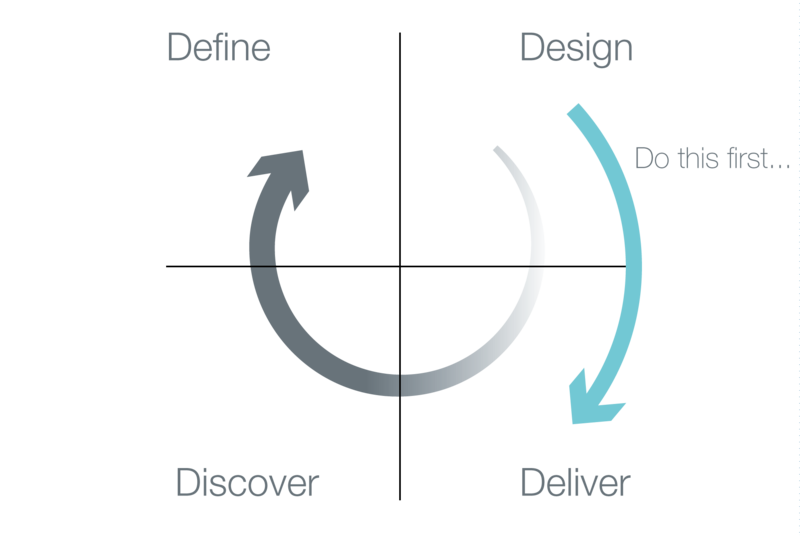 The Engagement Sessions reduce the cost of product definition, design and development by vetting your key assumptions about the problem, before you spend resources on execution. 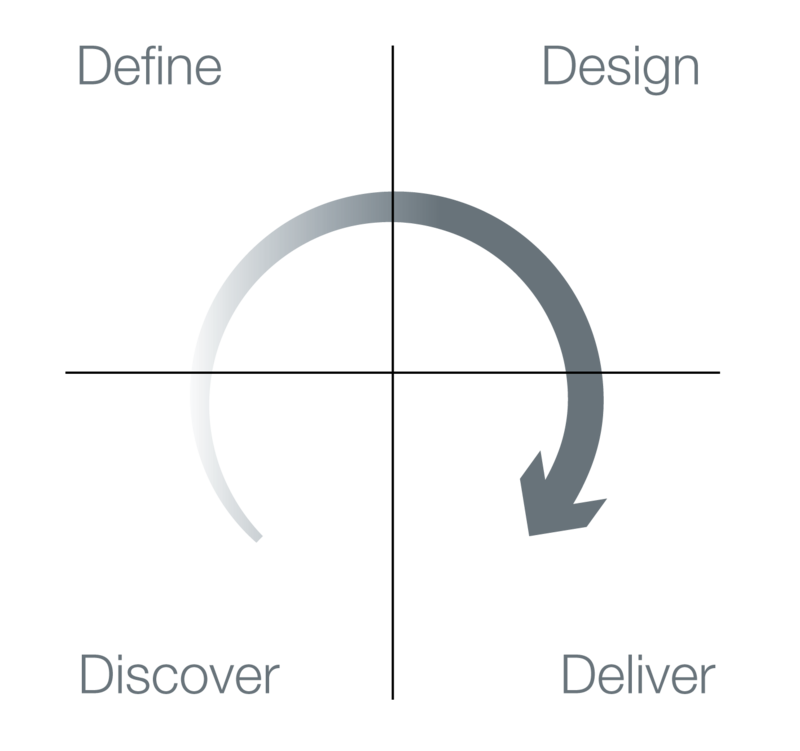 Like Presumptive Design, all of our services are optimized for speed and effectiveness. Download our Summary of Services to learn more or get in touch and let’s get started!